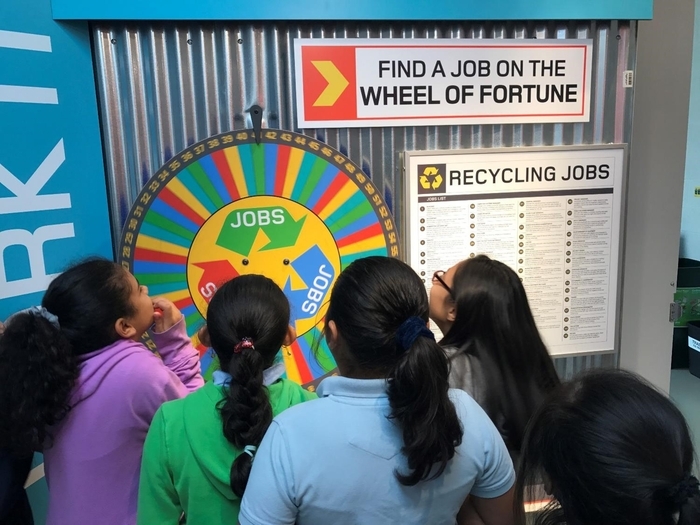 10:30am - 12:15pm | Learn all about NYC recycling and waste in the Recycling Theater with a presentation and videos, spend time playing with the interactive Recycling Education Center stations, and go out onto the observation platform to see the huge piles of recyclables and the vast processing system which sorts 20,000 tons each month. 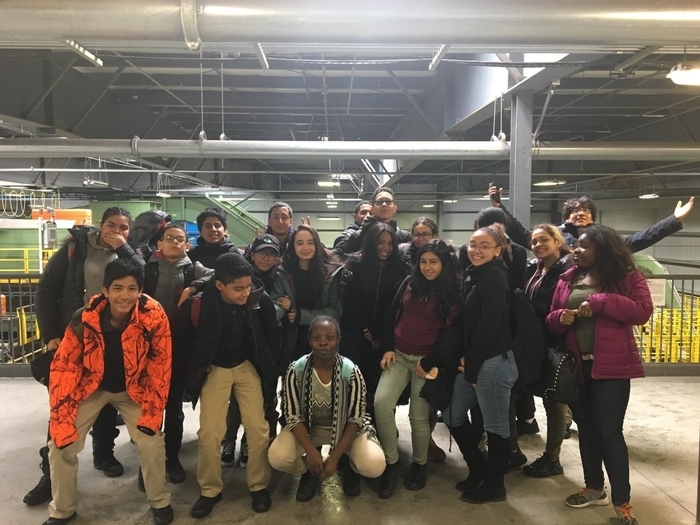 Typically best for high schools and programs able to arrive via public transportation. 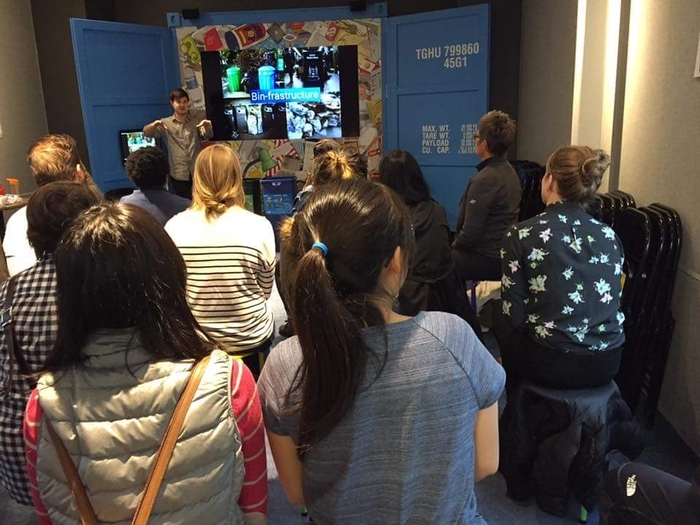 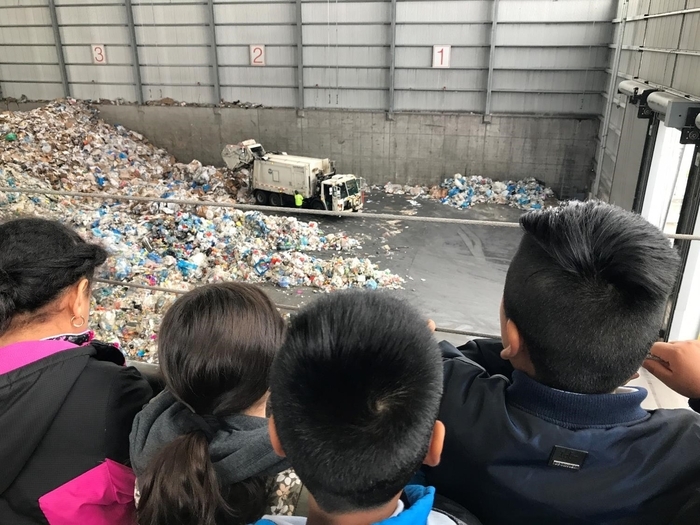 Learn all about NYC recycling and waste in the Recycling Theater with a presentation and videos, spend time with the interactive Recycling Education Center stations, and view the country's largest recycling sortation facility.